Under normal conditions Enduradeck Decking will be free from material defects from the original purchaser for a Fifteen Year period. 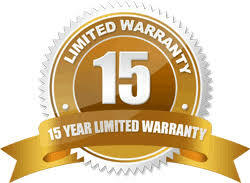 The Limited warranty of Fifteen ​ Years from original purchase date under normal conditions covers material replacement during the first Four years. Then pro-rata amount equal to 10% of the purchase value for years 5-15. This warranty does not cover labour costs, only product replacement and freight. Enduradeck is not warranted against improper use and must be installed as per installation guidelines. Acts of God including flooding. Dimensional change or "cupping" of the boards. This can occur after installation. Many different circumstances can cause cupping including poor ventilation or incorrect joist spacing. This is true for all wood species. ​​*WPC boards will lightly fade in the first 3-6 months dependent on rainfall.